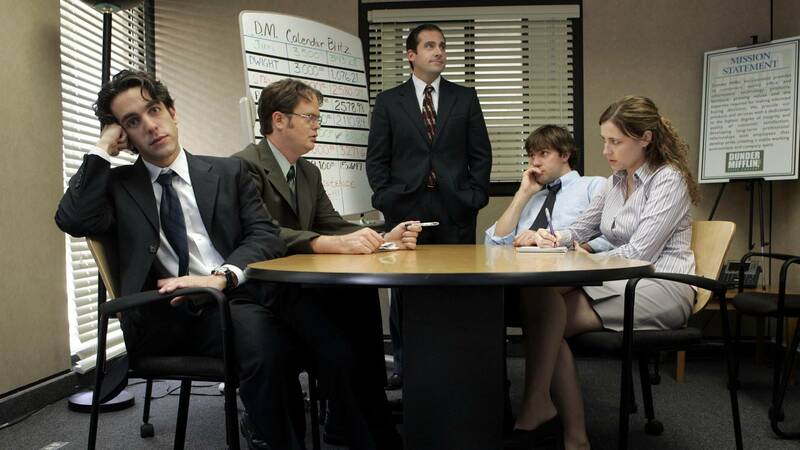 So you’ve binge-watched all nine seasons of "The Office." It’s your life now. 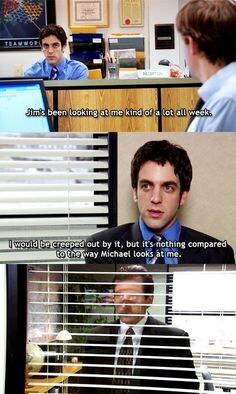 You will never love anything the way you love this show. 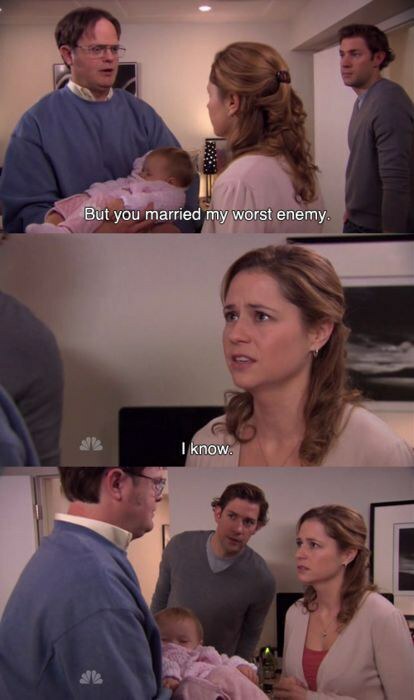 But what about the secret friendship of Dwight and Pam? The unlikely bond between the Assistant to the Regional Manager and the receptionist turned saleswoman turned Office Administrator? 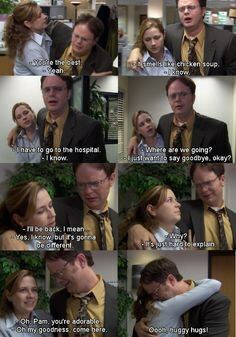 Do you remember when Pam was crying over Jim and Dwight comforted her? 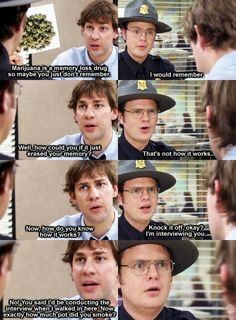 Or what about when Dwight got a concussion and Pam realized Dwight was her friend? Then he agreed to grab Pam's iPod from her house when she was about to give birth, despite her choice in men. 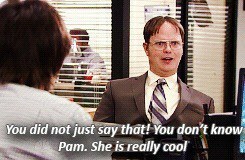 Then he defended her and calls her cool! And in the finale he called her his best friend. 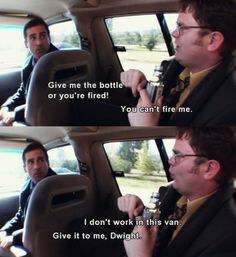 Rewatch the series to truly appreciate this friendship. 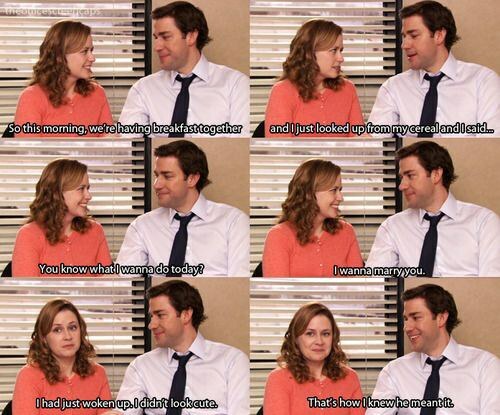 Then rewatch it again to reward yourself for appreciating these two beautiful characters. Then rewatch it again until you've gotten over the fact that the show is over.